A folding table and walnut chair from Carl Hansen. If you love interior design – like a carefully-crafted table, lamp or sculpture, or the sleek surfaces of new kitchen counters – then chances are you’re already planning to visit the WestEdge Design Fair, running Oct. 22-25 at Santa Monica’s Barker Hanger. If you love interior design – like a carefully-crafted table, lamp or sculpture, or the sleek surfaces of new kitchen counters – then chances are you’re already planning to visit the WestEdge Design Fair, running Oct. 22-25 at Santa Monica’s Barker Hanger. Over 150 brands will be represented, and there’ll be panel discussions and culinary demonstrations. 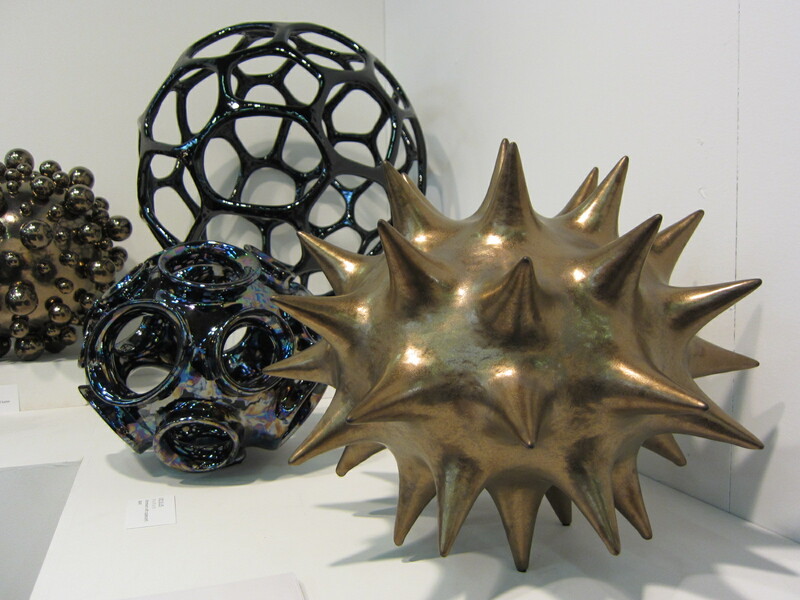 It also includes the first-ever MADE:MODERN, a section of the fair dedicated to independent designers. 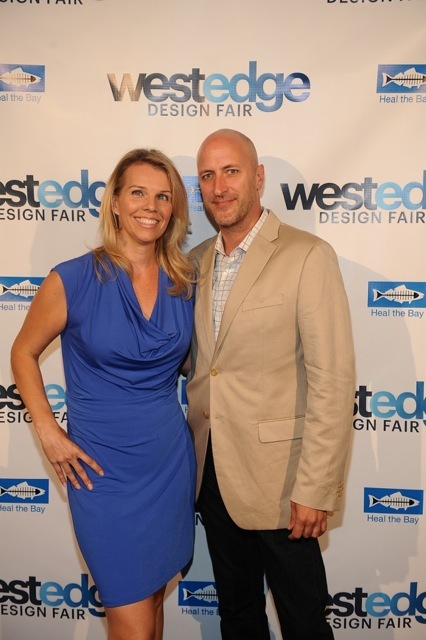 WestEdge co-founders and producers Troy Hanson and Megan Reilly formerly managed the Architectural Digest Home Design Show, the International Contemporary Furniture Fair (ICFF), NeoCon and NeoCon West. Hanson spoke to DnA about the overarching themes of this year’s WestEdge Design Fair. DnA: What is the organizing idea behind WestEdge Design Fair and what sets it apart from other design fairs? TH: I would say that we’re different than other fairs . We curate our fair very differently. We focus on contemporary design. We feature products that are manufactured where they’re designed. So for example you won’t come to WestEdge and find a manufacturer who designs in one place and then manufactures in a cheap labor market elsewhere in the world. There’s a lot of design integrity behind the exhibitors at WestEdge and I think that is based on the feedback we’ve had from trade and press. We’re a little smaller. We take place in the Barker Hanger, which is a very unique venue on its own. DnA: And is there a focus on West Coast designers? TH: We love to focus on West Coast designers. Our exhibitors are national and even international to some extent. But we’ve had a growing number of not only Los Angeles but West Coast-based designers and makers in general. This year will be the largest representation of West Coast designers that we’ve had to date. But on that note you’ll also find brands like Carl Hansen from Denmark and Baker Furniture, a domestic manufacturer. DnA: Where are you seeing a lot of design being made that inspires you, and who did you bring from outside the U.S. to show at WestEdge? TH: I happen to love Danish design. I also love Italian design. We’re showcasing Ricca Design this year, who will be launching new products seen for the first time in the U.S., an Italian company with their North American headquarters here in Los Angeles. Fantini USA is an ultra-premium bath company. Last year they joined us and showed their collection from Piero Lissoni. This year they will be showing a new collection at this year’s fair. Carl Hansen is joining us for the first time, they’ll be promoting their new showroom in the Helms Bakery District. DnA: You have a new area at this year’s fair called MADE:MODERN. What’s the idea behind it? TH: This section is dedicated exclusively to independent designers and makers. We’ll have about 45 designers represented in that section. And many of them are practicing domestic manufacturing. DnA: Do you see this is a response to how technology and a globalized marketplace has made manufacturing cheaper? TH: Absolutely. There’s no question. And I think also, in general, consumers are developing a much greater appreciation of products that they know will last. They want to know the personalities of the designers behind the products. They just want to feel more connected to their environment. And I think that the growth in the “maker movement,” if you will, strongly reflects that. 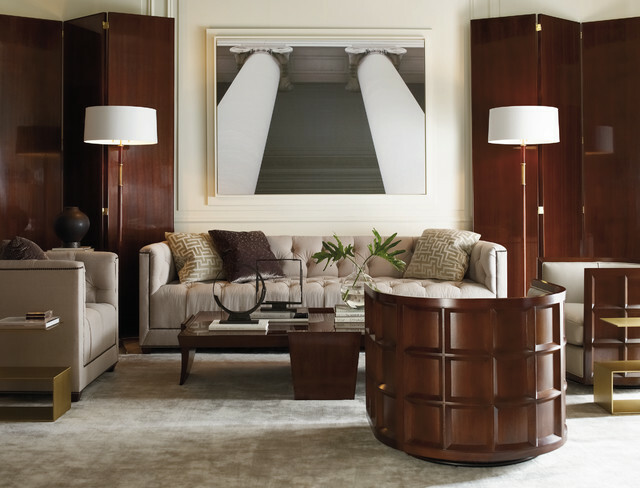 DnA: There seems to be a big emphasis on furnishings at WestEdge. Who are some of the more exciting designers that you’re seeing right now? TH: I think Carl Hansen is such an iconic brand, and for good reason. I think that they make premium quality goods. I think their products relate very well in residential and commercial settings. Thomas Pheasant is a designer who created a collection for Baker. He’s an interior designer but has ventured into the product realm. We’ve got some brands from San Francisco, one of them is J Liston Design. He works with different materials but his metalwork is some of my favorite. His designs are so unexpected and sophisticated, but not too lofty. We’ve got Pamela Sunday, a ceramicist from Brooklyn. I’m the proud owner of two of her pieces. I think her work is absolutely inspirational and incredible. DnA: Are you seeing certain construction materials gain in popularity? Concrete seems to be popular right now. TH: We’re seeing a lot of organic materials, a lot of wood, a lot of glass, but being used in new applications. It’s really going back to our roots. Organic materials, sustainability, peoples’ concern about the environment, all of that is coming into play with materials usage these days. We have an architect from San Francisco, Fu-Tung Cheng of Cheng Design, who’s doing a presentation at WestEdge. He’ll be showing his new line called ShapeCrete, which is a concrete material but is very easy to manipulate and use. He’s gearing this toward trade as well as consumers who want to use concrete but need a lightweight composite, instead of the traditional concrete. DnA: There seems to also be a big emphasis on technology and designers using technology to make their work, or making work that’s wired into the home. 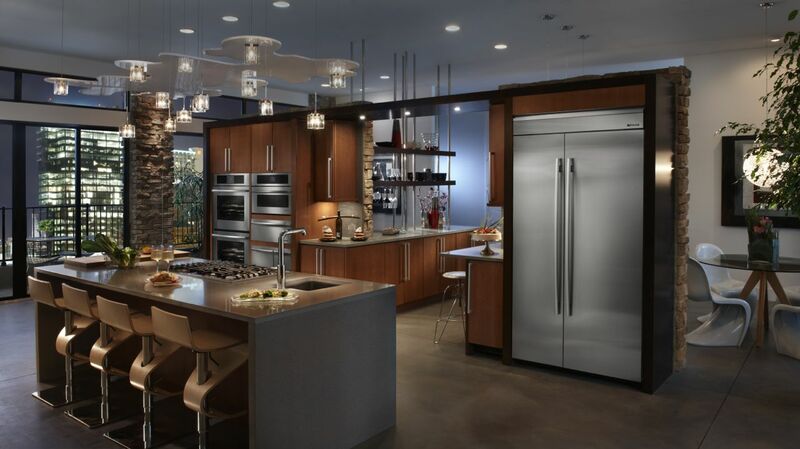 You know, kitchen appliances they can be accessed from outside the home. How do you think technology is changing the profession for designers and for clients as well? TH: Technology is making everything more accessible. It’s creating a great ease of use for consumers as well as trade. This year Jenn-Air will be showing appliances that can be controlled from an app on your phone. Everything that could be controlled from your phone or remotely, from your laptop, tablet, wherever you are, the home is becoming so much more connected these days. And I think it’s of great interest to consumers and designers. This is going to permeate the design industry well into the future. Certainly the use of 3D printing is having a tremendous influence on the design industry. This year’s WestEdge won’t reflect a lot of 3D printing. At this point, I feel that 3D printing has a greater application to the DIY consumer audience. But 3D printing is growing so rapidly, and there is no question that that will continue to work its way into the projects of architects and interior designers around the world. DnA: Our own Frances Anderton is moderating a panel called “Buy to Forget: Zombie Urbanism,” about overseas buyers in L.A. and about how some interior designers now have to design a home without the input of their clients, because they’re wealthy foreign investors buying with cash. Is that a trend that you’re noticing? TH: It is such an enormous trend. We saw this in New York many years ago. It’s the same thing happening here in L.A. now that’s happened there, with Europeans buying up a lot of the real estate, and of course the Chinese investors. They’re now migrating to the West Coast, which I think speaks very well for the awareness of L.A.’s role in the design and real estate industry. As you know there’s a housing crisis in L.A. Prices are skyrocketing. It’s almost comparable to New York real estate prices at this point. DnA: Is this event intended for wealthy homeowners and people who can go around buying these expensive products? Or is this for anybody who wants to feel inspired? 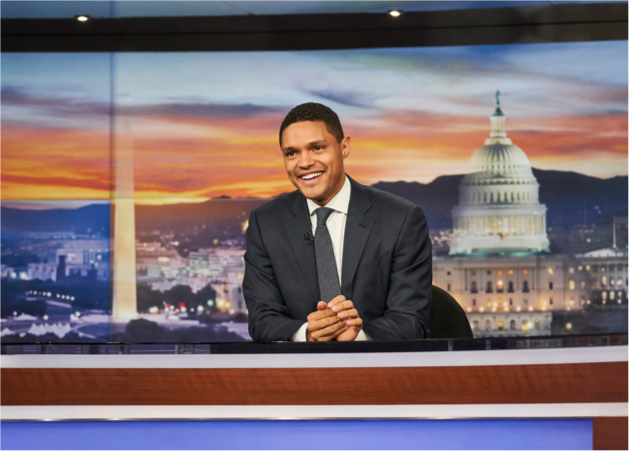 TH: What we try to do is create a venue where anybody, regardless of budget, taste, style, anyone can walk away with inspiration. Anyone can come away with an idea or possibly a product from WestEdge that they may not find elsewhere, in a showroom or design center. The show is really meant for anyone with a love for or an interest in design. That said, the products at the fair, the type of manufacturers that we represent, they are of a handmade nature. And they do tend to be at a somewhat higher price point. We are not elitists. We are only trying to present as high of a quality offering as we possibly can, and with that quality often times there comes a higher price point. We try through our programming to educate consumers, “yes, this table is $8,000 versus the $500 table you’ll buy at a big box store. But this table will last for the rest of your life and you won’t have to replace it in two years.” These pieces can become heirloom pieces. WestEdge Design Fair is Oct. 22-25 at Santa Monica’s Barker Hanger. Get tickets for $20 to WestEdge here.